What is Miami Riverside Center? The City of Miami is proposing to lease approximately 3.3 acres of land along the Miami River to an affiliate of the Adler Group for $3.6 million per year, with an option to purchase this land for approximately $70 million (it was bought by the City for $7 million dollars in 1994). 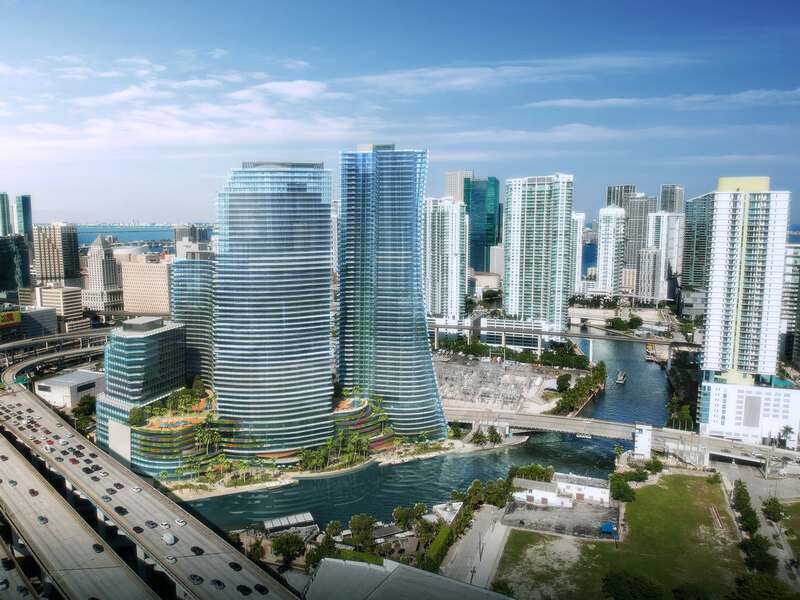 Adler Group will develop this land into a privately funded waterfront residential mixed-use project, providing public access to a new multi-level restaurant complex and create an expanded public Riverwalk to be used and enjoyed by Miami residents and visitors alike. Additionally, the City of Miami selected Adler Group to replace the aging and functionally obsolete City Administrative building, which currently sits on the land along the river, with a substantially larger world class headquarters that is architecturally attractive, well designed, operationally efficient, and will provide enough space for the City to house all of its divisions under one roof while allowing for future growth. How was Adler Group selected? In early 2016, the City of Miami released a public Request for Proposals for the development of the new administrative building along with an Offering Memorandum for the sale of the City-owned land along the river. Adler Group was selected following an open and transparent competitive bid process. Deal terms have been thoroughly negotiated over the past two years with City officials and several public interest groups. This deal is supported by Mayor Francis Suarez, City Manager Emilio Gonzalez, and was approved unanimously by the City of Miami Commission. This deal is a win-win for city taxpayers. There is NO taxpayer money needed in this deal. In fact, the city will receive millions of dollars through this sale… money that will be used for police, firefighters, fighting flooding and upgrading neighborhood parks. City residents will get a brand-new city office building to use when they need to do business with the government and access to a newly expanded stretch of the Miami Riverwalk with restaurants and green space.